I loved art, art history and chemistry at school and did not know how to combine them into one career. I originally studied biochemistry at Sydney University (Australia) and stumbled into the conservation profession, volunteered for a while, worked as an assistant conservator, trained as a painting conservator at the University of Canberra (Australia) and worked for a number of years at the National Gallery of Australia (Canberra, Australia). It was during my time there I realised I was interested in exploring scientific questions around paint and conservation processes and made the decision to pursue a heritage science career. Moving back to science involved completing a 2-year post-graduate heritage science internship at the Hamilton Kerr Institute (Cambridge, UK) a doctorate at Northumbria University (Newcastle, UK, 1999-2002) which was primarily a chromatographic study of paintings by William Blake. Since 2003 I have been working at Tate, initially as a post-doctoral fellow (2003-2007), and now as one of two staff Conservation Scientists (2007- ). Tate Britain. 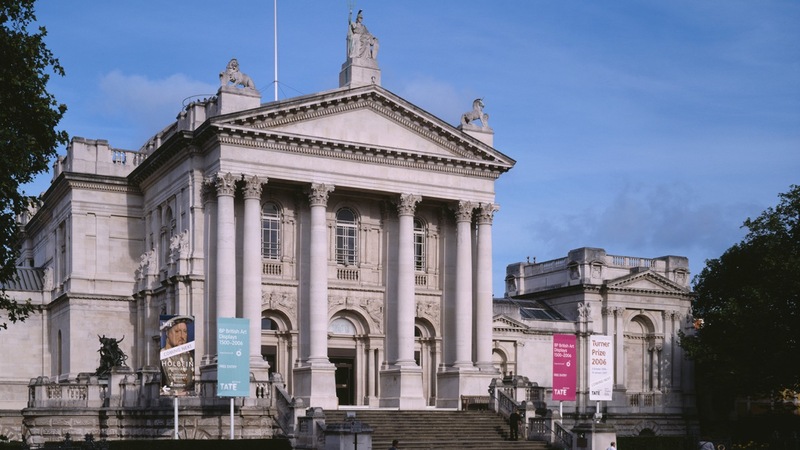 Most of the conservation sections, including conservation science, are located at Tate Britain. What’s your role at Tate? The Tate Conservation Science department has two full-time scientists and one part-time preventive conservator. We work together to contribute to scholarship and collections care, and have specific scientific skills and areas of research, with some overlap and collaboration. 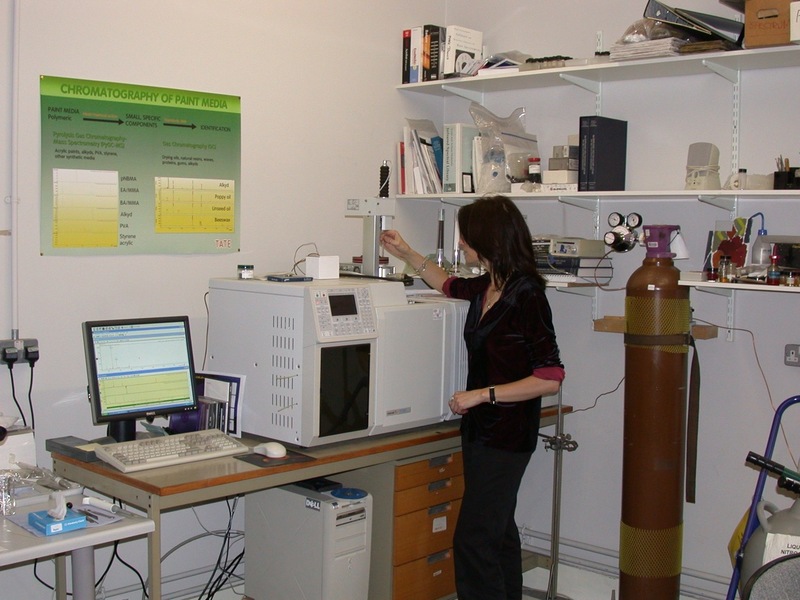 I am responsible for the chemical analysis of samples removed from works of art with FTIR and GCMS, I also advise conservators about analysis and research, and translate scientific information. I lead research into the materials and conservation of modern and contemporary art which includes supervising post-doctoral, doctoral and pre-doctoral fellows/students/interns, publishing, giving workshops and presentations. 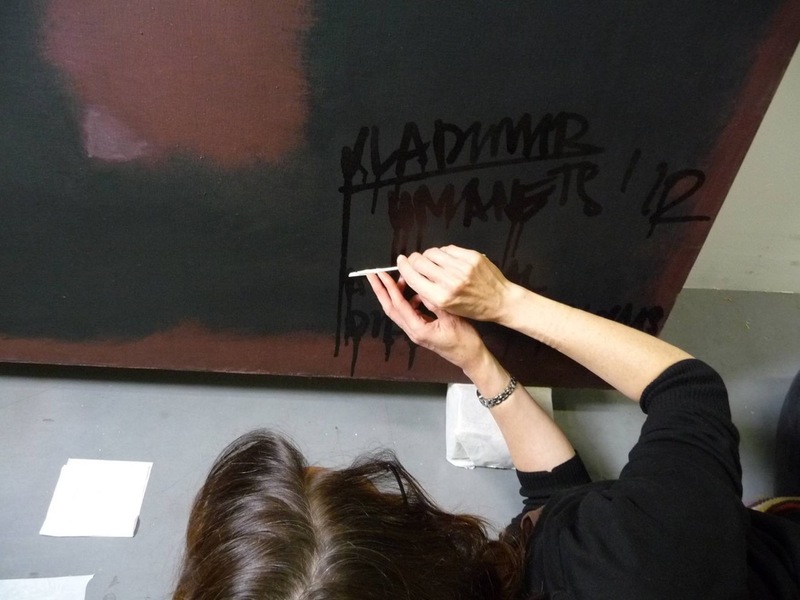 One area of ongoing research is to understand the constituents and properties of paints used by artists in the 20th and 21st centuries and to develop appropriate conservation treatments and preventive conservation strategies. As we are a small department we frequently collaborate with internal and external partners: sometimes we consult experts in particular materials or particular analytical/imaging techniques and our research projects are frequently highly collaborative. Two recent projects have both involved collaboration with The Dow Chemical Company (DOW), based in the US. One project focussed on developing cleaning systems for use on unvarnished modern and contemporary painted surfaces with Dow and the Getty Conservation Institute; this has now developed into continuous professional workshops for conservators (Cleaning Acrylic Painted Surfaces). The other project focussed on the Mark Rothko’s painting Untitled, Black on Maroon (T01170, 1958), which was vandalised at Tate Modern in 2012. For this, Dow scientists helped us out by exploring solvents for the safe removal the graffiti ink from the painting – I am very proud that the Project team and collaborators successfully enabled the redisplay of this painting in 2014. I am frequently inspired by my colleagues at Tate and around the world, as this is a profession that requires an authentic passion for art and lasting commitment. Many of us work in small teams or solo, and have to keep raising our own profiles as well as striving to stay relevant. I am also inspired by artists like Mark Rothko, who used paint materials to create works of art that encourage the kinds of visceral experiences normally reserved for places of worship. Having had the privilege to work very closely with one of his Seagram Mural paintings, I feel even more in awe of his achievements. I love being so close to art on a daily basis and problem solving with such an extraordinary range of materials, works of art and issues. Heritage Science helps people to understand and value cultural heritage in the here and now, while also enhancing the chances of its survival into the future.